If you're in for something special, this Silver Ring is it! 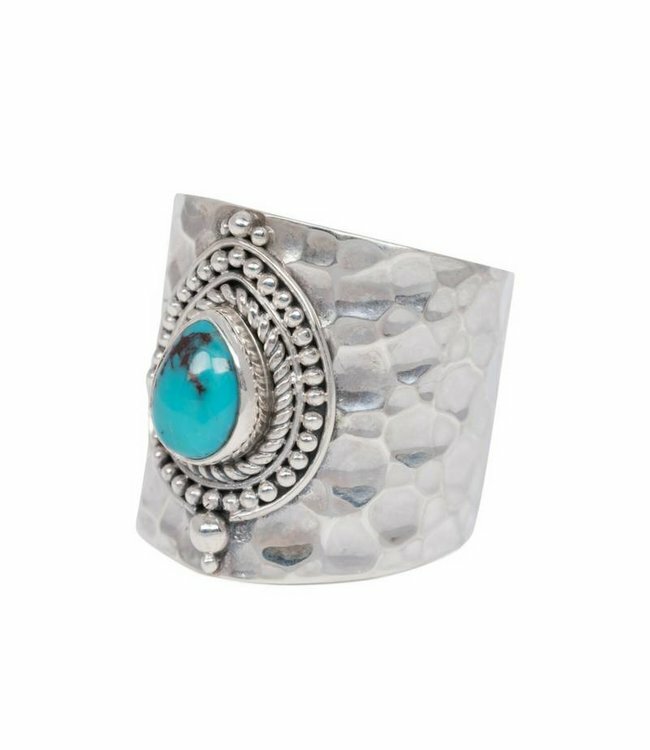 With it's two triangles wrapped around your finger, turquoise gemstone and 925 Sterling Silver hammered detailing you are in for a bohemian delight. The ring is adjustable in size. Read more.. If you're in for something special, this Silver Ring 'Turquoise Ryder' is it! With it's two triangles wrapped around your finger, turquoise gemstone and Sterling Silver hammered detailing you are in for a delight. 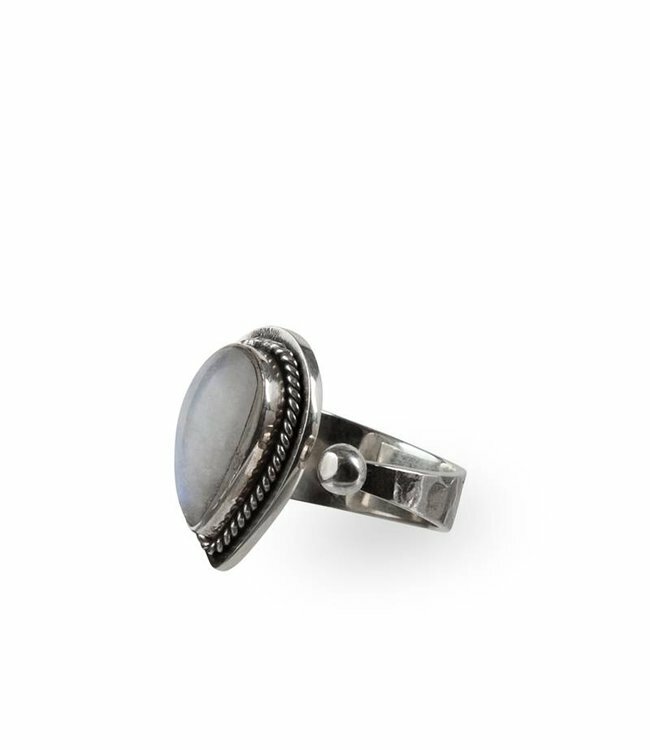 You can wear this silver ring on it's own or combine it with other of your favourite silver jewelry to finish your boho chic style. 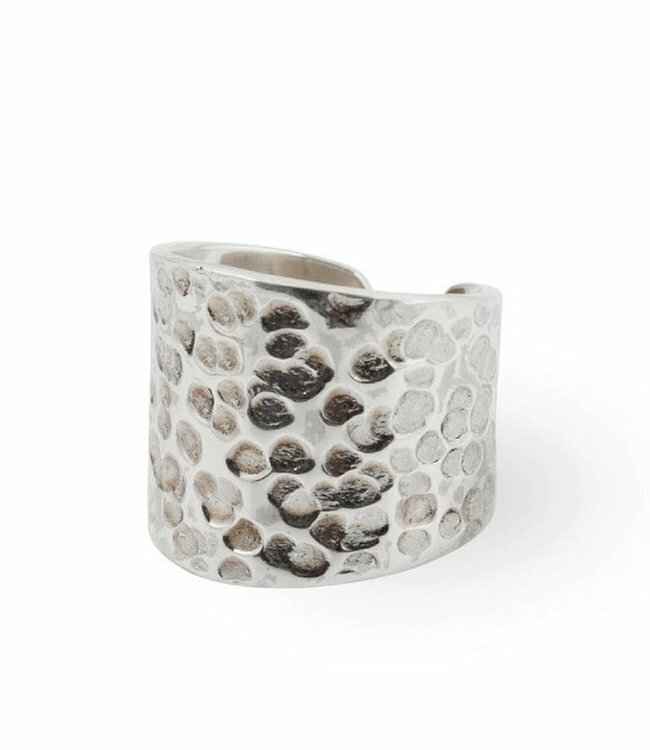 This ring is made of 925 Sterling Silver, is handcrafted and finished with hammered detailing. The ringband has a comfortable and adjustable size and fits most sizes. You can adjust it from size 16 to a size 21. The natural gemstone we used for this ring is turquoise, which is perfect if you wish to add a little color to your outfit. Turquoise is one of the oldest protection amulets, and is also known as a symbol of wealth in many ancient cultures. If given a turquoise by or to a loving friend, that stone would protect the wearer from negative energy and bring good fortune. The turquoise is the symbol of friendship. It also brings peace to the home. This silver ring is part of Route508's first collection which is build around a sense of adventure, freedom and fun. All our accessories are bohemian inspired and handmade. This makes each item as unique as you are. Get this Turquoise Triangle Silver Ring today before 17.00hr and it will be shipped on the same day.